The last few days have been very difficult for my family, and my Grandma especially. 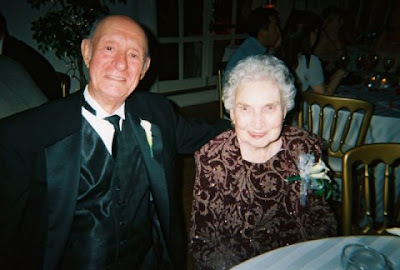 They would have celebrated their 68th wedding anniversary in March, and even after all those years together, it is so clear how much they truly loved each other. They were a real life love story. My Grandma was only 19 when they started dating, and when World War II broke out and my Grandpa entered the service, they decided to get married the first chance they could: one weekend when he was on leave. For the next six weeks, during his training, they saw each other only sporadically. Then he shipped out, and it was another two and a half years before they saw each other again. I can't imagine being away from my own husband that long... The patience, strength and love the two shared just amazes me. My cousin, Jenny, was sitting at my Grandpa's desk earlier today, and she said she opened the drawer and saw a stack of pictures. When she started looking through them, she realized they were all of our Grandma. During the visitation, my Grandma must have gone up to the coffin a dozen times. She was very strong throughout everything this week. During her final time at his casket, she kissed his forehead, told him she loved him, and said she would see him soon. I know their love will live on in Heaven. I almost imagined, in the church today, my Grandpa F. standing with my Grandma T., who was holding Izzie, all waving at me, and looking young and healthy. That is how I will think of them from now on. Anthony F., 90, passed away Friday, Jan. 28, 2011. Tony was born Jan. 9, 1921, and was raised in the Bedford Stuyvesant area of Brooklyn. He was brought up during the Great Depression and was very proud of selling ice cream outside Ebbett's Field for a nickel apiece. When World War II broke out, Tony enlisted in the Army and was assigned to the Dixie Division. Most of the members of the division were from Mississippi, and he found it ironic that a boy from Brooklyn got assigned there, but he and his Mississippi brothers got along great, and he held lifetime friendships with many of them. The unit was assigned to the 112th Cavalry, and he wore the unit's ballcap the last 15 years of his life. He fought in the Pacific Theater in the Philippines and was with the Japan occupation forces. He was awarded the Bronze Star for valor in combat. For 34 years following the war, Tony worked for American Airlines and became director of fuel purchasing. He was also chairman of the purchasing and fuel committee for the Air Transport Association for a time. A lifelong Yankees and Giants fan, he never forgot his New York roots. He discovered his sports passion in the 1960s - golf - and played two to three times per week for nearly 45 years. Tony enjoyed his membership at Rolling Hills Country Club for 31 years after American relocated its general office to Texas in 1979. A devout Catholic, he attended Mass religiously. He taught his children to be loving, honest and upright citizens and good Catholics. 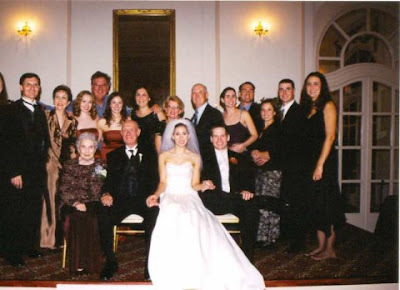 Survivors: Loving wife of 67 years, Marie; devoted children, Tony, Joan and Steve; loving daughters-in-law, Madeline and Linda, and son-in-law, John; seven loving grandchildren; and four great-grandchildren.